The first year of high school – 9th grade! My eldest girl has been transitioning into rhetoric level over this last year. High school. 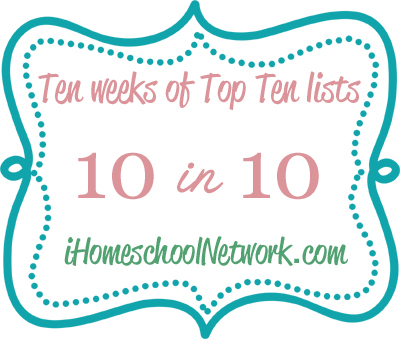 Complete with SAT, college applications, driving, upper level math, electives and more. Am I a little nervous? Yes! But I am also excited. It’s the start of a new, rewarding stage, complete with all its challenges. 2. Middle school and elementary. Eldest boy will be in 8th grade – the last year of middle school. He is really doing all that high schooling big sister is doing. (And he’s already driving the lawnmower.) It’s also the last year of elementary for Middle Girl – 5th grade. She’ll be heading into 6th grade this time next year! 3. 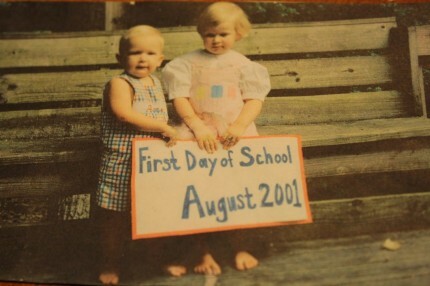 First grade and Preschool. Oh my. If anybody was ever ready for first grade it’s my Littlest Girl! Then my little guy – he’s right there with the rest of them, officially beginning Pre-K. I’ll start each school day with these younger two. The Little Ones First. One of the best things about teaching multiple ages is all the learning we can enjoy together. Display boards, lapbooks, writing, baking and cooking, salt dough maps and all the new projects that accompany a new year of learning. 5. Unit Studies. Everyone learning together. I love to see how everything seems to come together and compliment. It’s layers and levels of unit studies. 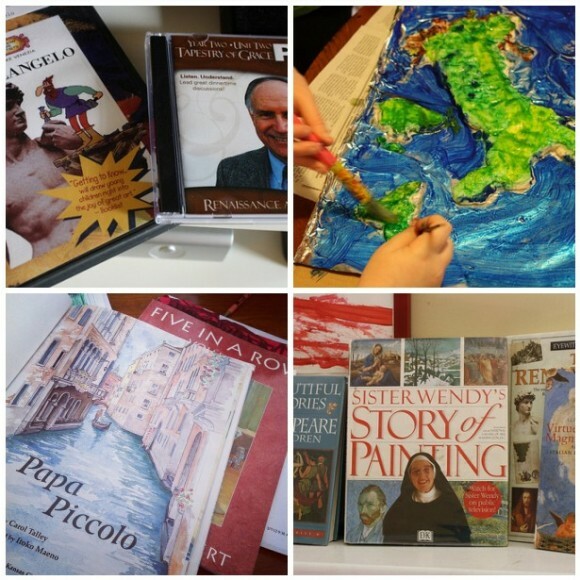 Nature studies, art and music appreciation, science projects. Often I can find a Five in a Row book to match our Tapestry of Grace or nature studies. Specific learning for the little ones and more detail for the big ones. This year, our Tapestry of Grace unit studies take us from Lower Grammar all the way up to Rhetoric. I will be looking at all of the columns in my teacher plans! New frontiers to cover in Tapestry of Grace Year 2, units 3 and 4. Unit studies are great for an age range because everyone is immersed in the same subject. Unit studies are often how we fit it all in! After the 3 Rs, we can mostly finish up the remainder of our subjects all together – all ages. ~ From my Unit Studies for Multiple Ages post. 6. Crazy times. Laughable moments. Relationships. There are daily opportunities for, ahem, character development. Plus sweet times when the older children read to the younger ones and help with teaching in many conversational ways. The little ones give the older ones the chance again to build with blocks, go outside and swing and play the games they so enjoyed when they were younger. Science labs and technology with Hodgepodgedad the Science Guy. Need I say more? 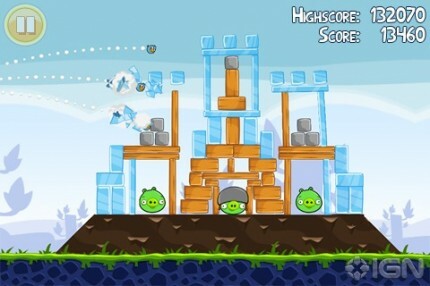 Hodgepodgedad does: He shares how he teaches physics with Angry Birds in: Technology for Multiple Ages. We have to stay home so we can get our school work done. I honestly long for the week days that we get to stay put the whole day. When we don’t have to get out and go to piano lessons, choir and drama troupe and more. When we are home all day we get so much learning done. 9. 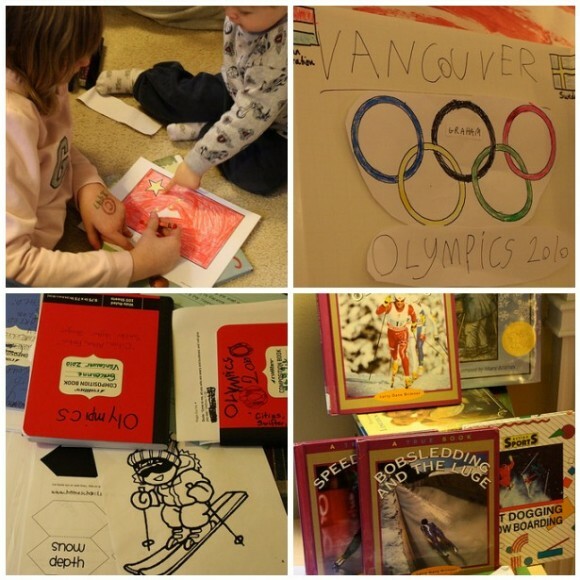 Seizing Learning Opportunities – Current Events with Olympics and elections. Learning parallel to life. This year we are starting our school year enjoying an Olympics unit study. We’ll also focus in on a mini-unit study of elections sometime in October. 10. 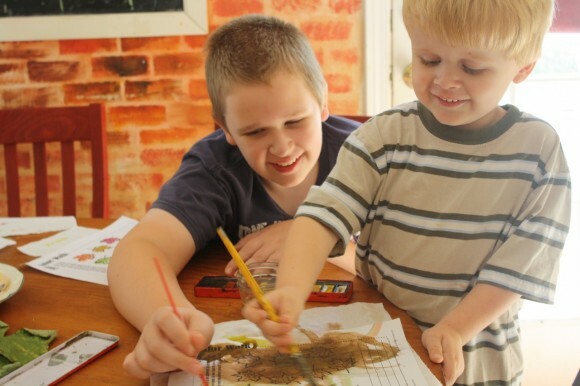 That comfortable feeling of homeschooling for more than a decade. Wow. That deserves an iced coffee. 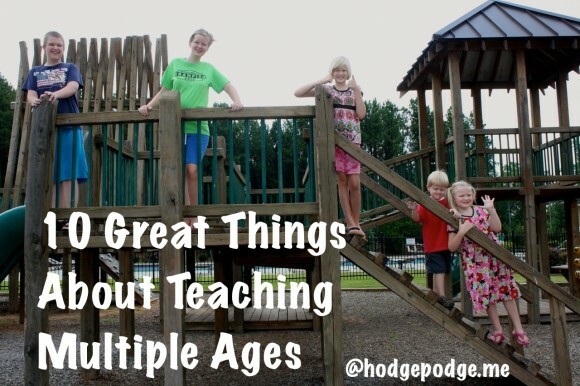 Looking for more on Teaching Multiple Ages? Please enjoy my 10 Days series on Lasagna Learning. I invite you to stop back by next week for 5 Days of Return of the Routine. Tricia, you had me at ‘relationships’….OH, that is the heart of it for me!!!! And Dad being involved…and being at home….being part of it, not missing it, not wishing it away, grabbing on and just loving! Oh my golly I love that last old photo. SWEET! I could see you and your girls doing some type of history project together – to celebrate a unit study. I love seeing all the handicrafts your girls do! Bravo! We are starting high school too…and 7th, 5th, and 2nd…the time is going fast! Love those days at home. Love our unit studies. Wish we lived closer! You get so much more done when you are AT HOME all day, right? I’m glad you pointed this out!! It strikes me how much wisdom you have, Tricia. Thanks for sharing it with us.